His Highness the Aga Khan speaking at Graduation Ceremony of the Masters of Public Affairs (MPA) Programme at the Institut d'Etudes Politiques de Paris (Sciences Po). 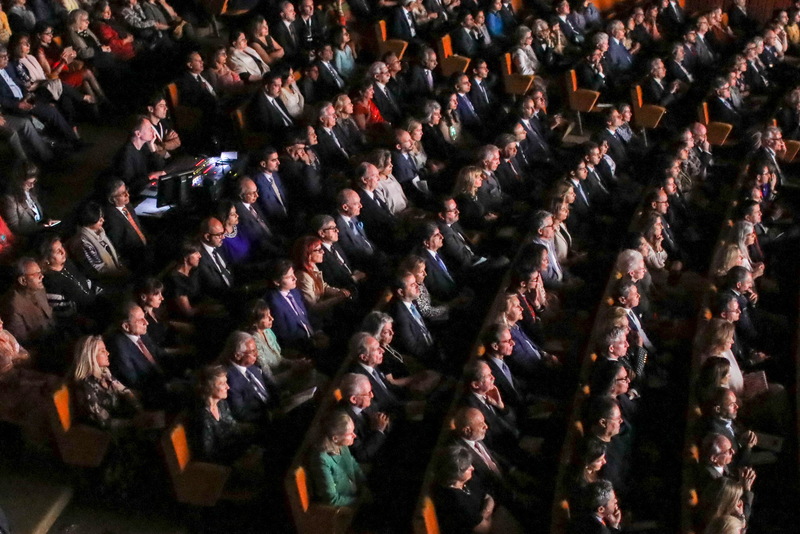 His Highness the Aga Khan applauding the graduates of the Masters of Public Affairs (MPA) Programme at the Institut d'Etudes Politiques de Paris (Sciences Po). 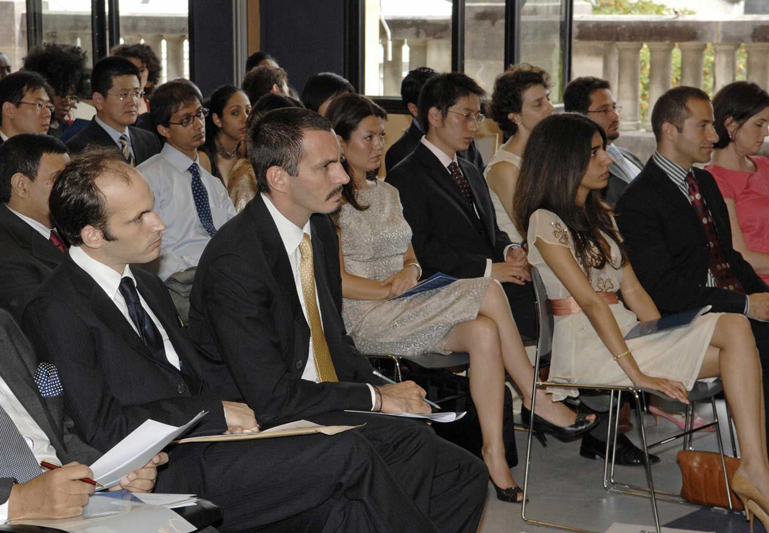 Prince Hussain Aga Khan and Prince Rahim Aga Khan at the Graduation Ceremony of the Masters of Public Affairs of Public Affairs (MPA) Programme at the Institut d'Etudes Politiques de Paris (Sciences Po).